There were some parts of the Salmon of Doubt that I found interesting, funny, and enjoyable, but on the whole I found the book rather tedious to get through. 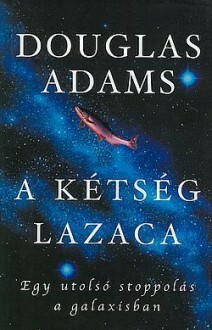 I'd still recommend it though to any Douglas Adams fans. This is an immensely sad book; the last we shall ever read of Douglas Adams. It has some very funny moments and some very serious moments too; the Salmon Of Doubt itself only hints at the fantastic novel it would have eventually become. Left me with a tear in my eye. sigh. so much talent lost.